I mentioned in a previous post that I love candy corn. It’s not Fall without savoring the taste of that bright white, orange and yellow sweetness. Now I’m not discriminating against the Indian candy corn and pumpkins mellows. I love those, too! 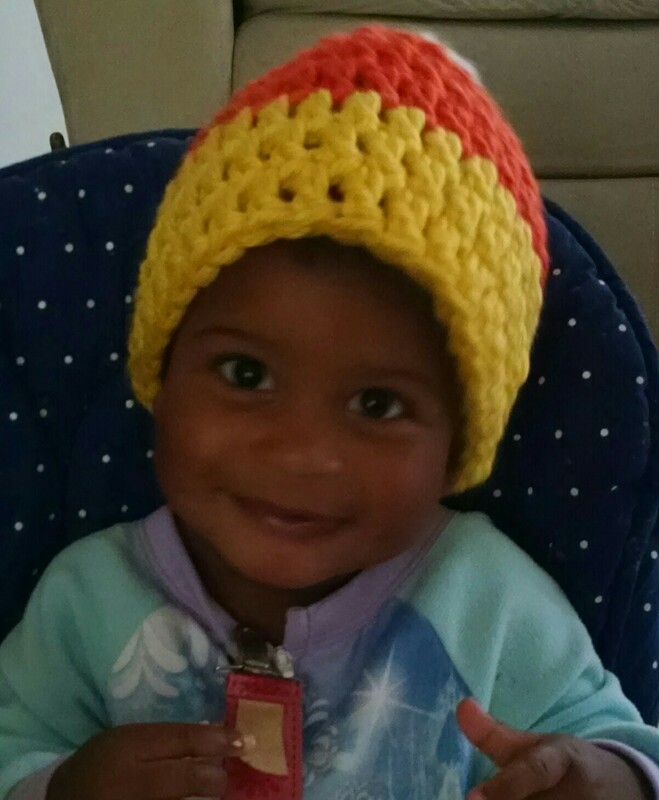 So, in honor of the great candy corn, Nesting By Robin has candy corn hats ready to be purchased and worn by our adorable children, grandchildren, nieces and nephews, or just a really cute neighbor child. They’re made with warm, soft thick yarn and they are washable. The hats are available in traditional candy corn colors of white, orange and yellow. However, I am introducing the Indian corn colors of white, orange and brown. Sizes come in Infant, Toddler and Children. Normally the cost of these hats are $20 each, now discounted to $15 for the remainder of the Fall season. Call, text, email, personal message or reply to the website anytime to place your order.